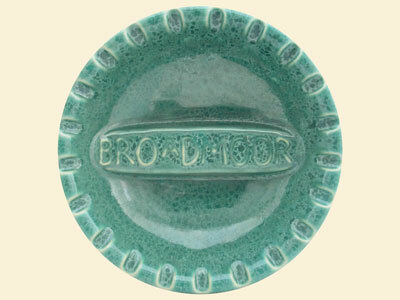 Sometimes wrongly promoted as a Broadmoor Pottery Co. item. 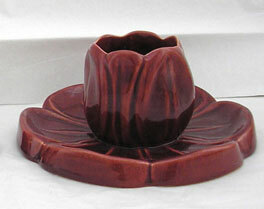 One report we found has this ashtray made by Dryden. A reference to page 70, of Dybwad and Bliss' Dryden Pottery book was cited in a recent eBay listing. This seems credible since the mottled green glaze looks identical to glazed ewers Dryden made for Van Briggle. 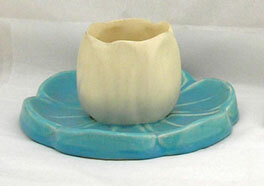 Another report has it made in the 1950s by Frankoma Pottery. 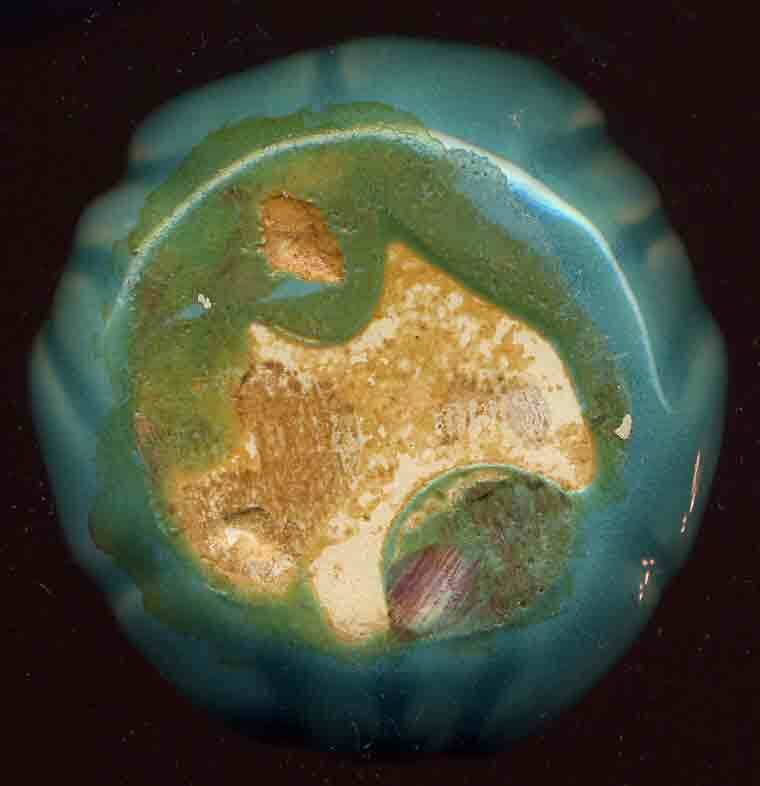 This also seems credible since the ashtray is sometimes found with the familiar Frankoma Prairie Green glaze. Maybe the ashtray was made by both companies...but it was not made by Broadmoor-Springs or Broadmoor-Denver. 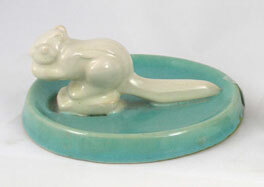 Sets like this squirrel/tray combo may become detached (unglued) if picked up only by the top piece. That can often result in the bottom piece falling off and breaking. Fortunately for this tulip/lily pad set the pad didn't break when they separated. These sets are nicely intact. 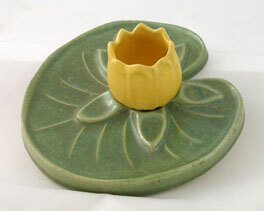 The bottom of this tulip cup was probably attached to a lily pad. Looks like the pad didn't make it.